If you haven't heard of the women's CLIF Pro Team, you need to crawl out from under that rock you're hiding under and get to googling! Comprised of some of the best athletes in the world, the CLIF Pro Team currently holds 20 individual world cup wins, 2 Olympic medals and 26 national championship titles. We've been working with the ladies from the team for quite some time now, and leading up to our 2019 collection, we sat down with some of the athletes to design their own custom kits. Catherine Pendrel, Katerina Nash, Maghalie Rochette, Eva Lechner, Haley Batten, Hannah Rae Finchamp and Lea Davidson all provided their personal touch on our custom jerseys, bibshorts and sports bras. As elite athletes and world travelers, they find "kit-spiration" in some of the best cycling destinations on the planet. The Women's CLIF Custom Sport Bra is super lightweight and breathable yet provides excellent support during your ride, with medium support for A-B-C cups and removable pads that make it extremely dependable. 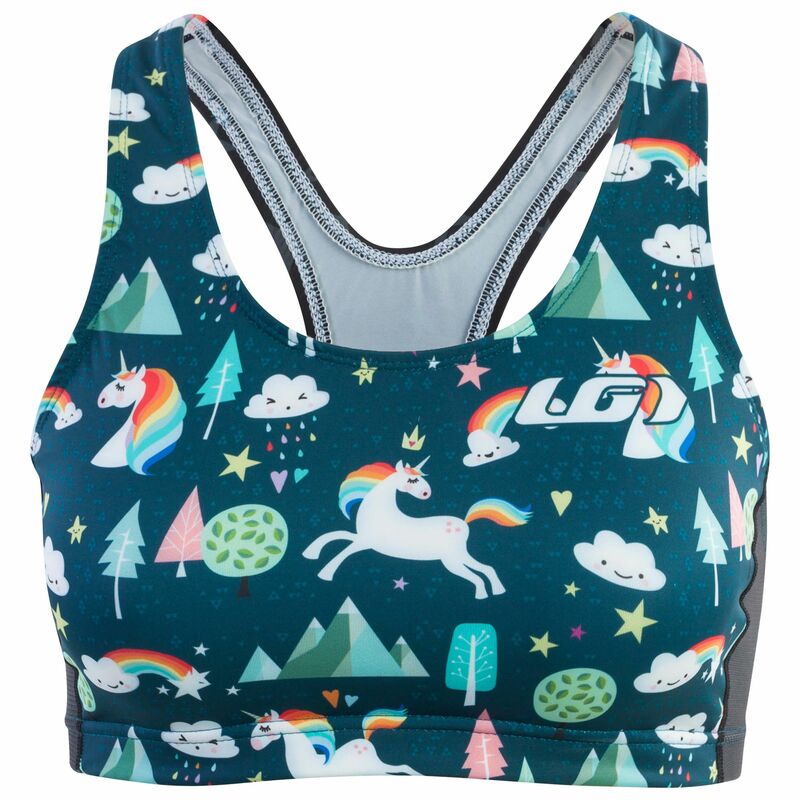 From rainbows to unicorns and red wine to Beyoncé, the new Women's CLIF Team Kits are sure to spark a conversation during any ride... Not to mention some extra style watts!